This is a Cedar door we made a while ago. 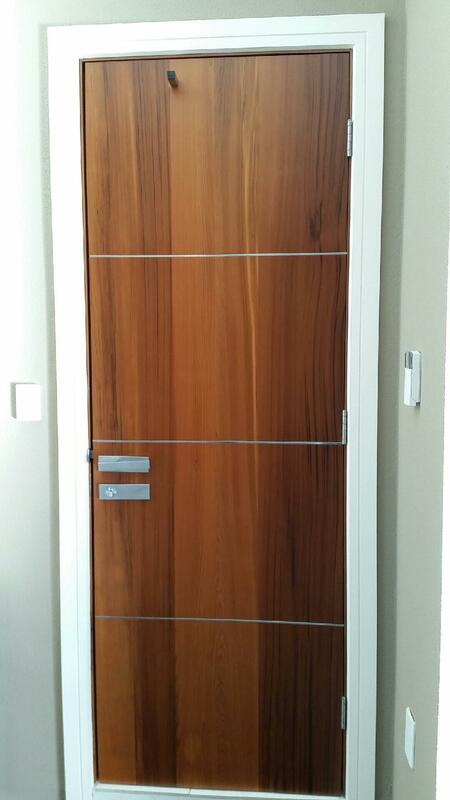 We grooved thin metal strips into the face of the door. We recently received the finished photo after it has been stained and polished. Looks fabulous.